While we welcome certain conclusions of the HSCC, the overall message defends NHS England (NHSE) and the Department of Health & Social Care (DHSC) in their policy direction of introducing accountable care organisations that are dangerous in bringing in models of care based on the deskilling of a workforce designed to give cheaper, underfunded care in the community. We suspect that the report does not convey a single coherent message but reflects the various different positions of committee members, who have reached a compromise to agree a published report. The legal barriers and fragmentation that arose out of the Health and Social Care Act 2012 will need to be addressed … ACOs, if introduced, should be NHS bodies and established in primary legislation. Where barriers are identified and can be removed with secondary legislation, this may represent a less complex way forward. We reject this concession to Government attempts to totally reconfigure and break up the NHS without the scrutiny that would accompany primary legislation. We believe that the HSCC, while denying that ACOs facilitate privatisation, has also responded to the public concern over the risk of that privatisation poses through ACOs. It is beyond dispute that the awarding of 10-15 year contracts to manage ACOs with multi-billion pound annual turnover constitutes a risk of privatisation of the NHS of unparalleled scale to date. Given the risks that would follow any collapse of a private organisation holding such a contract and the public’s preference for the principle of a public ownership model of the NHS, we recommend that ACOs, if introduced, should be NHS bodies and established in primary legislation. Countries that have made the move to more collaborative, integrated care have done so over 10–15 years and with dedicated upfront investment … A long-term funding settlement and effective workforce strategy are essential not only to alleviate immediate pressures on services, but to facilitate the transition to more integrated models of care. An opening up of private control, or private-public partnership control of these huge contracts, whilst (unbelievably) denying the risk of privatisation. KONP and others gave evidence that successful efforts to deliver integrated clinical care have been in existence long before the Five Year Forward View and this Government. 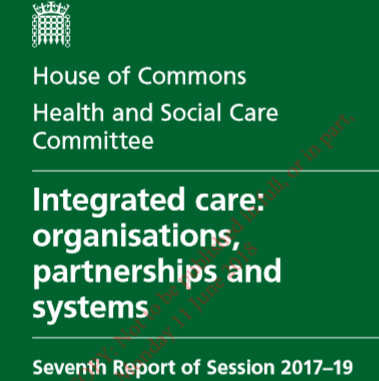 The National Audit Office concluded in February 2017  that there is no evidence that organisationally imposed integration delivers better care. We need delivery of coordinated patient care, but formally integrated organisations are not proven to be valuable and require dramatic and damaging widescale reorganisation to achieve. We welcome that the Select Committee appear to agree with KONP and those who have taken NHSE and Jeremy Hunt to JR, when the HSCC states that ACOs must be subject to primary legislation and should be statutory NHS bodies. We also welcome the conclusions of the Select Committee that ACOs lack evidence that they will deliver better coordinated care; that they are being rushed through and are severely underfunded – massive challenges that are without precedent. We welcome the HSCC’s call for change to be evidence-based and that results of trial areas must be closely evaluated. We reject the HSCC assertion that competition can be a useful tool, when it has most clearly failed in numerous disasters, not least Carillion and Capita. The report is available here and on the Committee’s website since 11 June. 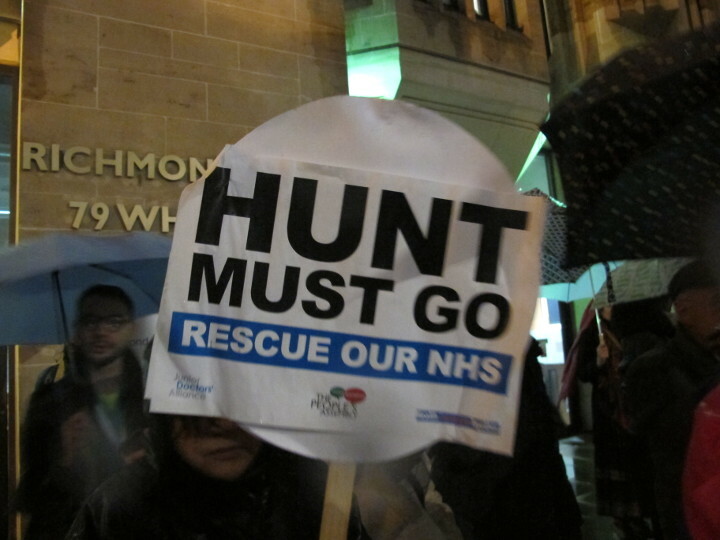 Jeremy Hunt’s Impact – Fault or Design? Crisp, measured and timely response to the Health and Social Care Committee report. Thank you.